Thor came out in theaters on Friday, and while it’s getting some good reviews, the actual Thor-worshiping pagan community has had a mixed reaction. 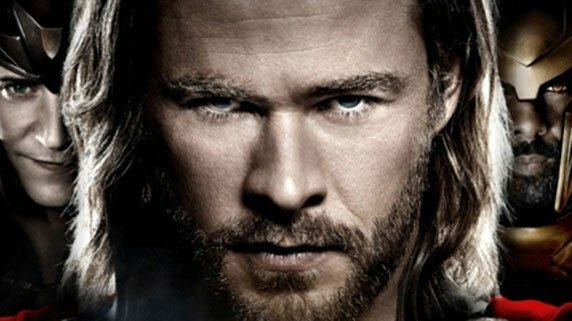 Apparently, some pagans felt that the Norse gods depicted in the movie based on the Marvel comic were not represented in a very respectful manner. Meanwhile, in Iceland, the country’s Pagan High Priest is totally cool with it. True, movies like The Passion of the Christ, The Last Temptation of Christ, and even The Life of Brian were not made under the impression that Christians did not exist. They were all well aware that Christians were a large part of the moviegoing audience. But Thor isn’t based on Norse religion directly. It’s based on a comic that’s loosely (loosely) based on Norse myths. For example, Thor of the comics is actually a god, where the movie Thor is a (spoiler?) member of a highly advanced alien race. One may as well complain about Stan Lee’s interpretation, not Kenneth Branagh’s. In any case, as it is with all religions, there’s no monolithic face to the believers, and some opinions differ. Such as Iceland’s Pagan High Priest Hilmar Örn Hilmarsson, who said that the Norse gods have been depicted in literature and other media for centuries, including in “the music of Elgar and Wagner.” So, another story about Thor in pop culture won’t hurt anyone. Some even see this as an opportunity to introduce people to the Norse deities. Are good stories — true, religious, mythological, all or any of the above — a bad thing? Definitely not. And neither is whetting appetites for learning about real ancient religions. Or am I the only one who watched Hercules: The Legendary Journeys?